Zika virus recent outbreaks in different regions and particularly in Central and South America have caught the attention of health authorities. Zika virus infections have been reported since the early 1950’s but after a substantial spike of cases of microcephaly in newborns and Guillain-Barré Syndrome (GBS) in the Americas the World Health Organisation (WHO) declared Zika virus a public health emergency of international concern (PHEIC). Zika is transmitted by a mosquito but cases of spread through blood transfusion and sexual contact have also been reported. 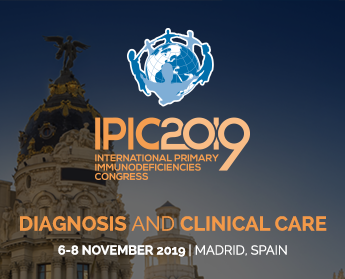 IPOPI has also been carefully monitoring the situation regarding primary immunodeficiency patients and plasma-derived medicinal products (PDMPs) and has now published a Position Statement. Due to this virus type and size it is highly probable that it will be inactivated and removed by the viral inactivation and reduction techniques applied during the manufacturing process of PDMPs such as immunoglobulins. There is no specific treatment or vaccine currently available for Zika virus disease, prevention for PID patients as for anyone else is very important. IPOPI would recommend PID patients to avoid whenever possible travelling to Zika virus endemic areas. When travelling or living in endemic areas cannot be avoided please consult with your doctor for personalised recommendations about prevention and protection. For more information, please check the following pages from the World Health Organisation (WHO), the United States Center for Disease Control and Prevention (CDC) and the European Centre for Disease Prevention and Control (ECDI). IPOPI is closely monitoring this situation and will provide updated information as it becomes available.